I am self-taught when it comes to setting up a blog and I do everything myself. Which, as a 40-something stay at home mom means truly everything! And remember, back in the day when we were mooching around listening to our tape cassettes and writing in our notebooks at school, we weren’t exposed to as much computer stuff as our kids are now. So when it came to a point that I realized I absolutely needed to work from home I decided to research having an online business. Thankfully there are tons of amazing bloggers out on the world wide web who are prepared to share their incredible knowledge with us. I am so grateful to them. I literally spent 6 months just reading everything I could find. Eventually, I stumbled on a successful strategy that has enabled me to get where I am today BUT in the beginning, it seemed like there was just so much information. I found it really hard to try and distinguish what was necessary and what was not. I would spend hours “down a rabbit hole” chasing one thing after the other without defining WHAT PIECE OF INFORMATION I REALLY, REALLY NEEDED to get me to a place I really wanted to be. In other words, I would be reading very interesting articles and finding out about different things without a clear understanding of HOW THEY ARE HELPING ME. So to help you get there quicker, I’ve compiled a list of my most favorite but more importantly MOST HELPFUL articles that clearly help you get where you need to be. Some of these will require you to sign up to a list, I would recommend just going for it, that’s how these entrepreneurs are growing their list, by providing you with key, but most importantly, free information. I’ve divided them into sections so that you can easily jump to the platform you are currently working on learning more about. 10 Days to Ditch the day job is a great introduction to WHY you are setting up a blog and what you hope to get out of it. Kate covers 10 days of critical actions to do and think about when blogging and her suggestions are awesome! This download actually made me quit my day job and helped me focus on why I felt so passionately about my business(es) (yes I have a few! I use the same business model for all three which makes them easier to run). I got SO much out of 7 Free Tools that Will Make You Totally Irresistible. There are 7 highly critical aspects to making you successful and each one is broken down into specific steps and associated websites or programs to be a member of. 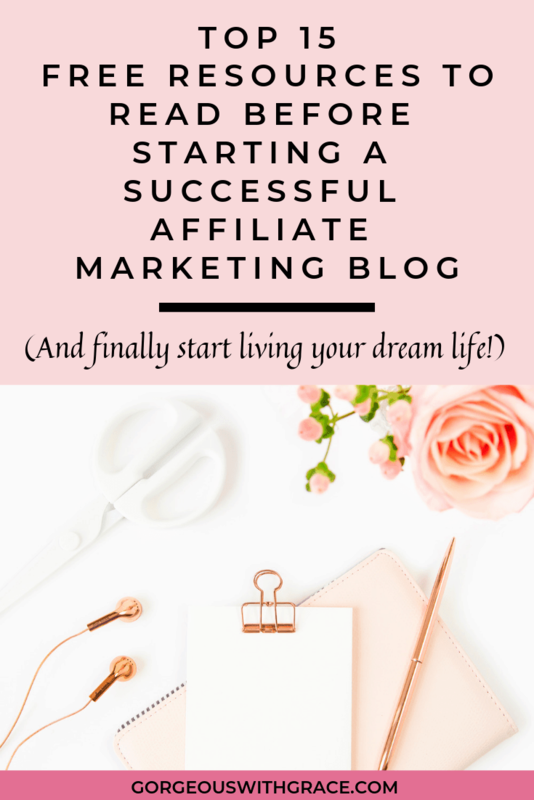 If you want to start making money right off the bat then read this article Don’t make the same stupid mistake I made with my blog and start using an editorial calendar straight away! That way you will be prepared for the month ahead and have blog posts to just drop straight on to your site. 40 Places to Share, Promote and Distribute Blog Content was really useful because as much as you love your blog and you put tons and tons of effort in to it, people won’t read it if they don’t know how to find you. How to Grow Your Blog with Pinterest is a great beginner’s guide to making Pinterest work for you. 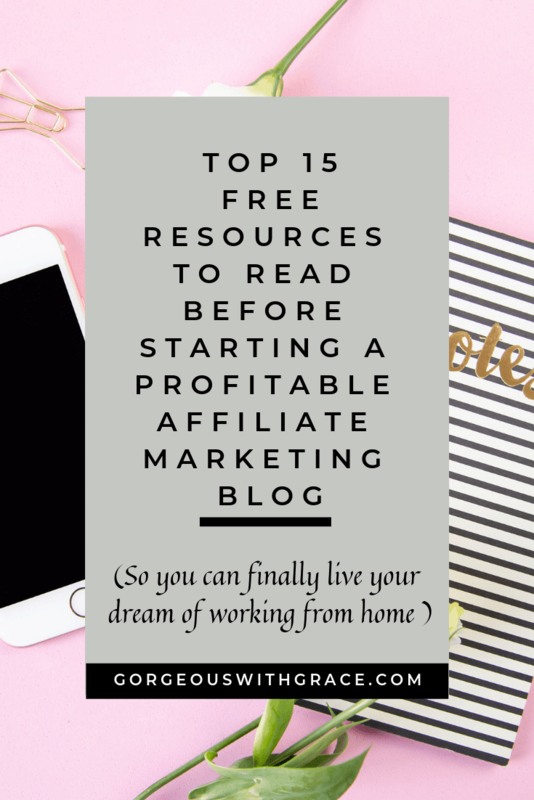 Because if there is one thing I will tell you is that you MUST, MUST, MUST leverage Pinterest to drive traffic to your site. I focus most of my time and energy on Pinterest. This article from Buffer on The Best Tips on using Pinterest is very useful because it talks about scheduling. Buffer is a scheduling app that I use for Facebook, Twitter and sometimes Instagram but I use Tailwind for scheduling pins. Tailwind offer a free trial period so you can give it a try and see what happens. Even during my trial, I couldn’t believe the uptake in referrals from my pins. Now at the time of writing this, the doors are currently closed on the Double your Instagram Following but I highly recommend putting your name down for when it re-opens. Foundr Magazine has an awesome ebook download called How to get your first 10000 Instagram followers. They have amassed an amazing following. However, don’t forget it is more about the click throughs than the actual number of followers. Here’s the truth: I resisted Facebook as much as I could because I was so frustrated with it on a personal basis. BUT then I started using it more regularly for one of my businesses and I couldn’t believe how much traffic it sent to my website! So I became a convert!! Grow your business with Facebook is more specifically if you have a product to sell but the concept ideas are the same. Growing your blog with Facebook is really comprehensive and so informative about what you actually need to have on your Facebook page and how to add it. These are my top 3 go tos for free stock photos. Always be really careful about citations of photos if you are not going to use your own. I really hope this was useful for you! Please let me know if you have any questions?